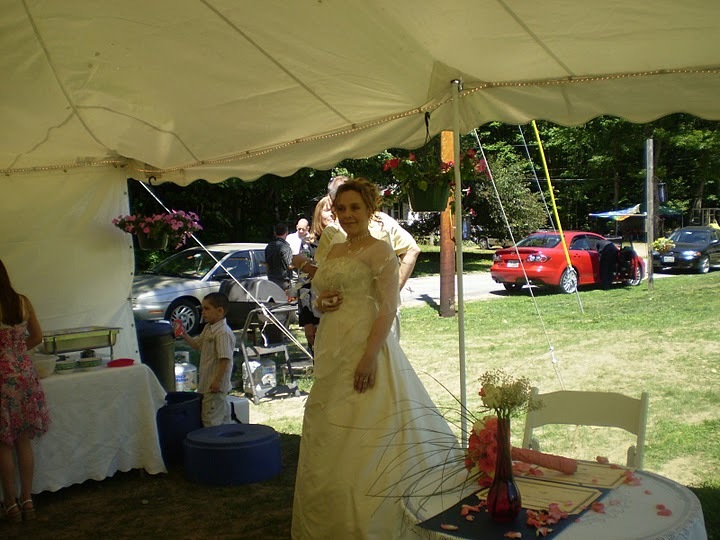 June 30th 2007, New Durham, New Hampshire. This was one of my weddings from my old website, I don’t have much of the information left, but I do remember this couple well, and wanted to include them on the new page. They had a beautiful intimate wedding lakeside with a fabulous cook out to follow. Lobster and gourmet cakes were part of the feast. I still remember the lavender flower cookies, they were so delicious! I actually ran into this couple at Kittery Point, ME where I was officiating a wedding for another couple and it was their first wedding anniversary, they couldn’t believe their wedding officiant was at the place where they had chosen to visit for their anniversary. How great is that?